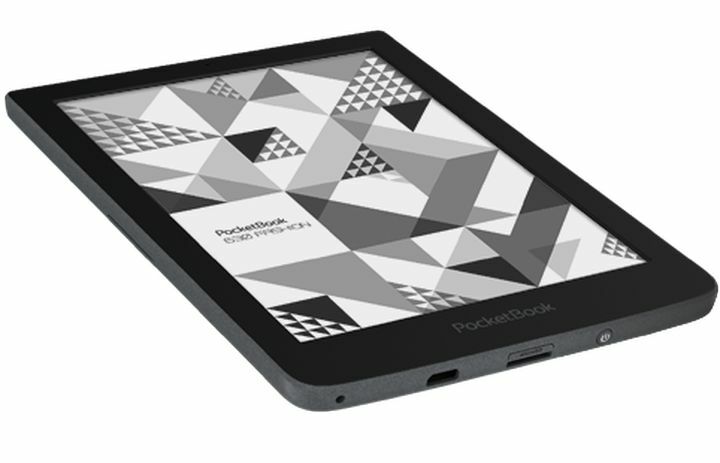 The company PocketBook announces the beginning of sales of the new E-Ink reader, responds to changes in lighting conditions – PocketBook 630. In every model of their devices, PocketBook company introduces new interesting options. So, PocketBook 630 can smoothly adjust itself for maximum comfort level of the backlight. This was made possible thanks to the integrated sensor which reacts to the slightest change in lighting conditions. This function is customary for smartphones and tablets, but has never been implemented in the E-Ink reader. Elegant eBook performed in a stylish design. Field around the screen devices has become the most narrow and mechanical buttons paging brought to the rear panel reader. Their convenient location makes it comfortable to browse a page by holding the gadget in one hand. Due to size 15×11 cm and weight of just 155 grams, the compact reader PocketBook 630 can rightly be called a pocket library. Own memory enough to store a collection of books from thousands of products, and a slot for microSD memory card it can significantly expand. Lots of pleasant emotions from reading ensures multi-touch HD screen E Ink Pearl with 1024 × 758 and 212 dpi. The user can select any content without worrying whether the reader a particular format – PocketBook 630 plays 16 popular text and graphic 4 types of documents without conversion. A collection of preset Abbyy Lingvo dictionaries will help in the study of languages. Built-in Wi-Fi allows you to chat and share literary preferences in social networks using the preinstalled applications ReadRate, and services Dropbox and “Books by email” greatly simplifies the transfer of content to the device. Efficient processor clocked at 1 GHz ensures fast response applications and allows you to smoothly turn the pages.